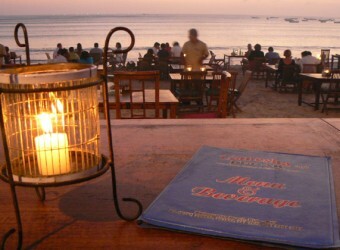 Bali Restaurant Ganesha Cafe is a seafood restaurant in Jimbaran Bay. It is perfectly located next to the beach, with some tables set up directly on the sand. The café offers you the best service and fantastically fresh grilled seafood served in set menu. Sunset time is the best time to enjoy seafood, though you can also come in the afternoon.